Dr. Praveen Kumar Anshuman is a Faculty at the Department of English, Kirori Mal College, University of Delhi. His research area of interest lies in the Modern British Drama, Indian English Literature, African American Literature, Subaltern Literature, Hindi Literature and Osho Literature. He is a great bibliophile. He has more than twenty five research articles published in International Journals of great repute. He is Member Editorial Board of nine International literary journals and also appointed as Brand Ambassador for TJPRC and Impact Journals. He was honoured with the Certificate of Merit for the best performance in the Refresher Course in English at Sambalpur University, Odisha. He has been invited as Guest Speaker to many International Conferences and Seminars. 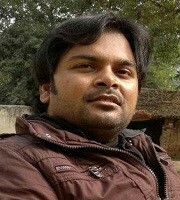 Simultaneously, He is working as Research Associate at IIAS, Shimla. 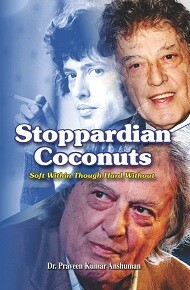 Stoppardian Coconuts: Soft Within Though Hard Without is his first book dealing with major thematic understanding of the British playwright Stoppard’s dramas.